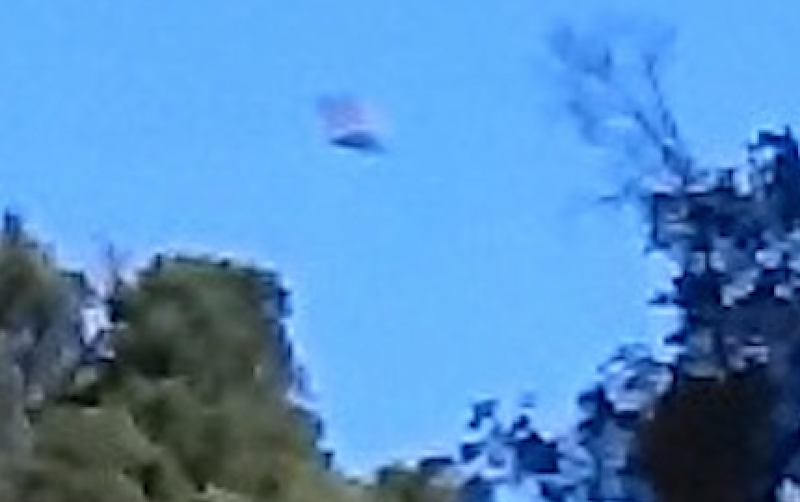 UFO SIGHTINGS DAILY: UFO Caught Over Forest Landing Near Eyewitness In California On June 22, 2016, Photos, UFO Sighting News. 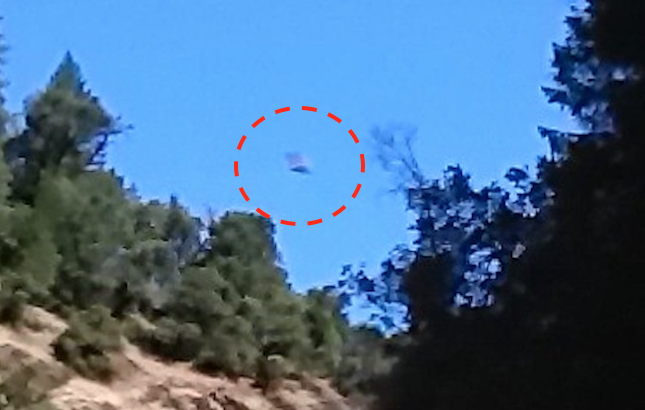 UFO Caught Over Forest Landing Near Eyewitness In California On June 22, 2016, Photos, UFO Sighting News. UFOs often move fast, so fast that the human eye would not be able to notice it. The digital eye is more perfect and can capture most UFOs, but some are just too fast. This is a great capture of a classic style disk with a raised center dome on top. From the photo I can see a cloud like smear of color above it. That is the direction from which it came. It was heading down. It was probably landing in the trees not far from this person. Below is altered color to see its detail better. On Wednesday, June 22, I was on a boat fishing trip with my father. 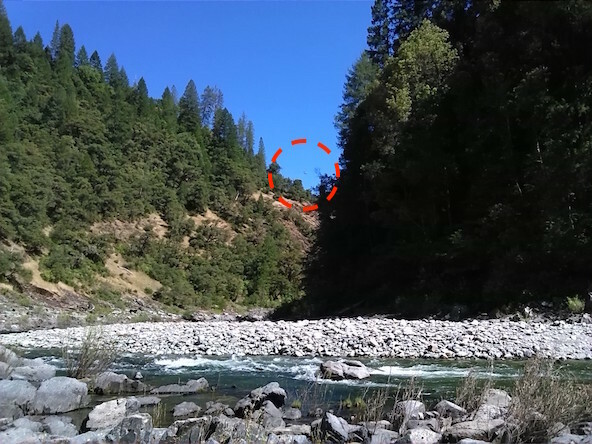 We were on the North Fork of the Yuba River. On this day at about 5pm I took several pictures of the surrounding canyon and forrest. We returned home on Thursday June 23. 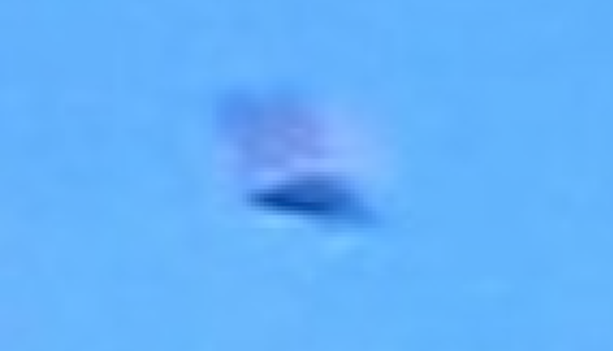 While reviewing all the camping photos, I observed an object in the sky above the treeline in one of the pictures. I had taken three pictures within a few seconds of each other. The second picture has the object. The first and third picture of the same location have no object in them. The object looks rectangular, and shiny silver or white on one side. In the location where the photo was taken there were no aircraft in the sky and the only birds we had had seen were hawks or vultures. The area we were in is very secluded. There were no other people around, and no noise other than the river going over a rock bed.